The Bristol Zoo opened in 1836, making it the 5th oldest zoo in the world and the second oldest in England after the London Zoo. Located in Bristol’s Clifton neighbourhood and set on 12 acres which may not seem large, but it makes up for size with its awesome exhibits and gorgeous gardens. Most of the large animals, except for lions and gorillas, have now been moved to the zoo’s sister zoo, Wild Place Project. The Wild Place Project is located just outside Bristol and was specifically designed for larger species, giving them not only more space, but also natural surroundings. The Bristol Zoo has seen its fair share of fame, from its Television series, Animal Magic, in the 1960’s to its various famous animals like Rosie the elephant and Alfred the gorilla. Alfred was a lowland gorilla who called the zoo home during the 1930’s and 1940’s. Being a rare sight at the time, people flocked to see him but it was his resounding personality that made him a huge success. I actually got to see him while in Bristol as after his passing he was taxidermy and is now on display at the Bristol Museum. 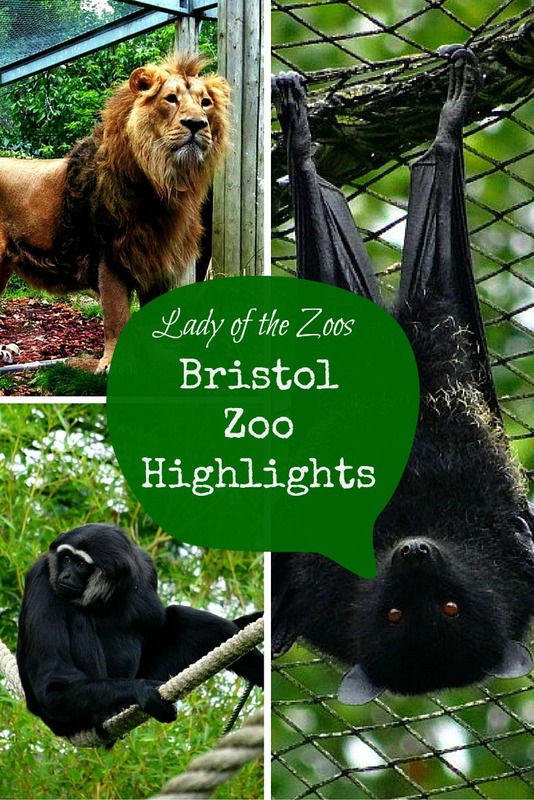 The Bristol Zoo has always been a very successful zoo in terms of breeding and have many firsts under their belt. They were the first zoo in the United Kingdom to breed okapis and squirrel monkeys in captivity, among many others. And during my visit there were an abundance of baby animals from a baby drill to fluffy, grey flamingos and plenty others. The zoo also have various conservation projects they are working on at the zoo with local endangered species as well as internationally. The Bristol Zoo has a bunch of great exhibits and enclosures but I’ve narrowed down to the following highlights. Asiatic lions are native to India’s Gir Forest and there are less than 350 individuals left in the wild. This critically endangered species is a sleeker version of their African cousins with a less prominent mane. At the Bristol Zoo you’ll meet two young brothers, Kamran and Ketan, who are quite playful and inquisitive. Their exhibit is full of great pieces to keep them enriched and entertained. The zoo has laid out their enclosure to maximize the space to provide areas to hide, places for cover and perch. They also provide various enrichment for the lions with toys, boomer balls, even planted herbs, like catmint, in the enclosure, as well as offering varying feeding times to keep them guessing. Make sure to stop by the Asiatic lions, you’ll be awed by their majesty. 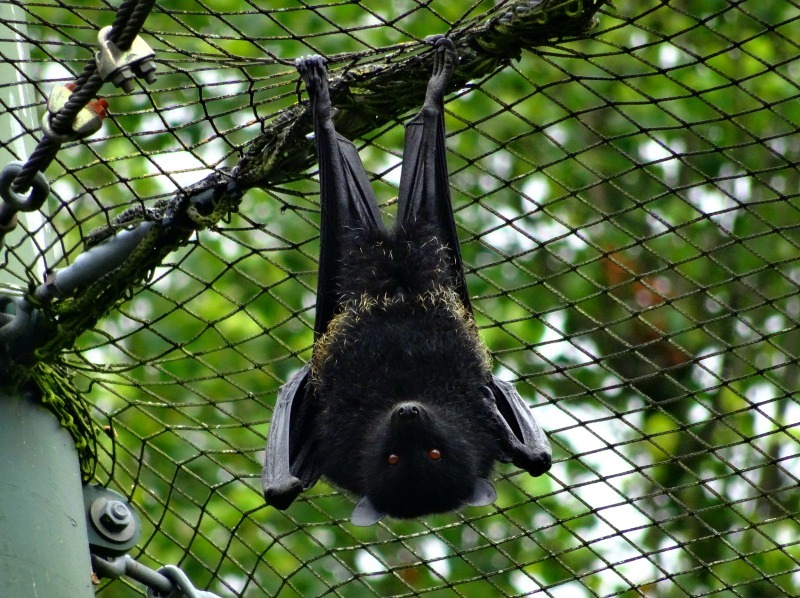 The zoo’s Twilight World exhibit reverses day and night to offer you an incredible opportunity to see nocturnal species during their most active time – night. This exhibit was the first of its kind when it originally opened. The exhibit is broken up into desert, rainforest and cave habitats, and has great enclosures that replicate the animal’s natural habitats. 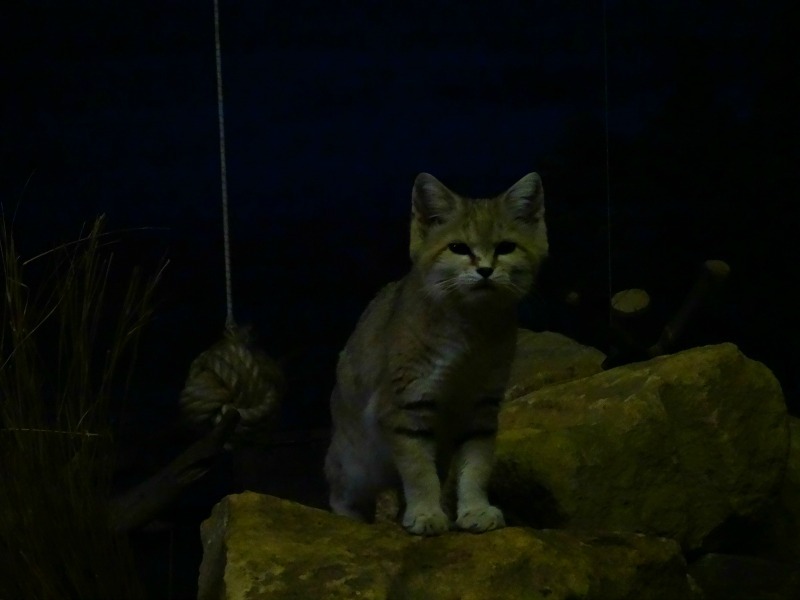 Within the desert zone you’ll find curious little yellow mongooses, the incredibly illusive sand cat, whose paws are laid out to allow them to walk on sand without sinking in, and also the rarest mammal at the zoo – the Turkish spiny mouse who are only found on one side of a mountain in Turkey, with less than 200 left in the wild. Within the rainforest zone you’ll see the delicate pygmy slow loris, the adorable grey mouse lemur with its huge eyes, and the Eastern quoll, an adorable marsupial from Tasmania that are endangered. Not only is it one of the rarest bats, the Livingstone’s fruit bat is also one of the rarest mammals on Earth. Livingstone’s fruit bat are one of the largest bat species and to me, also one of the sweetest with their fox-like faces. 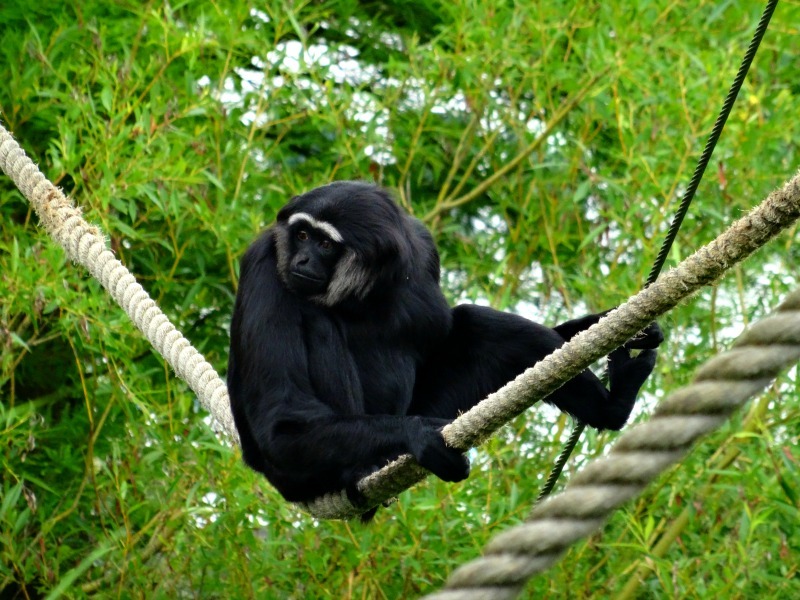 The Bristol Zoo has a large walk-thru enclosure for them, full of tall, thick trees, as well as netting and ropes for them to hang and climb on. I highly recommend the experience of having one of these impressive bats fly over your head. Monkeys, Apes & Lemurs, oh my! The Bristol Zoo is home to a diverse assortment of primates, from endangered species not normally seen in zoos to visitor favourites. They are also found throughout the zoo in a few different exhibits including; Lemur walk through, Monkey Jungle, Monkey Island, Gorilla Island and Gibbon Island. Within the Lemur walk-through you’ll find yourself surrounded by a replicated Madagascar forest where ring-tailed lemurs and crowned lemurs bounce around you. 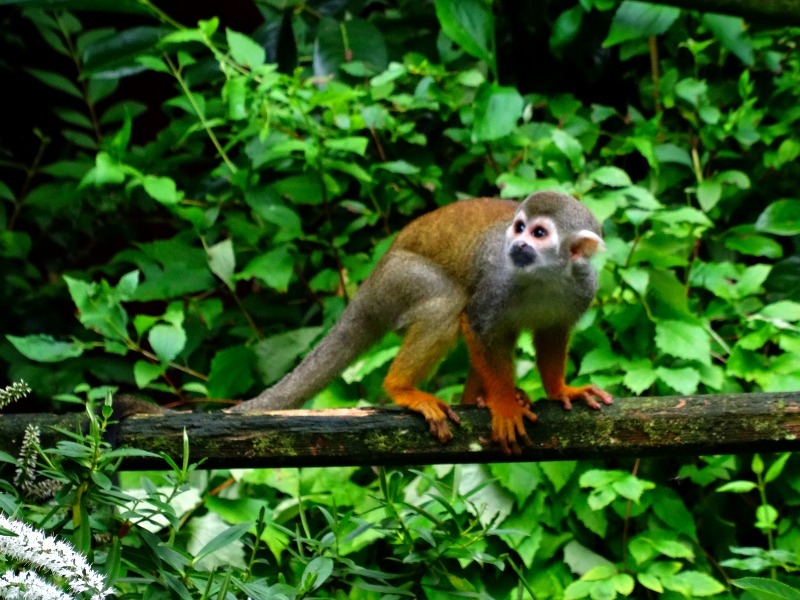 On various island habitats there is only a moat between you and some of the cutest of primates like squirrel monkeys, howler monkeys, and lion tailed macaques, to name a few. On Gibbon Island you can watch as the zoo’s pair of agile gibbons swing from rope to rope and hang from one long arm to stop and watch you back. The Bristol Zoo is also home to a troop of western lowland gorillas that can be viewed from within the gorilla house, where you might have to look up, as the gorillas have access to a heavy duty glass roof over visitors heads. They also have access to a large Gorilla Island full of perches and ropes to swing from and climb one. So, next time you’re in Bristol, or even in south-western England, consider a visit to the Bristol Zoo for a fun day full of adorable babies, endangered species and a wealth of awesome close encounters. 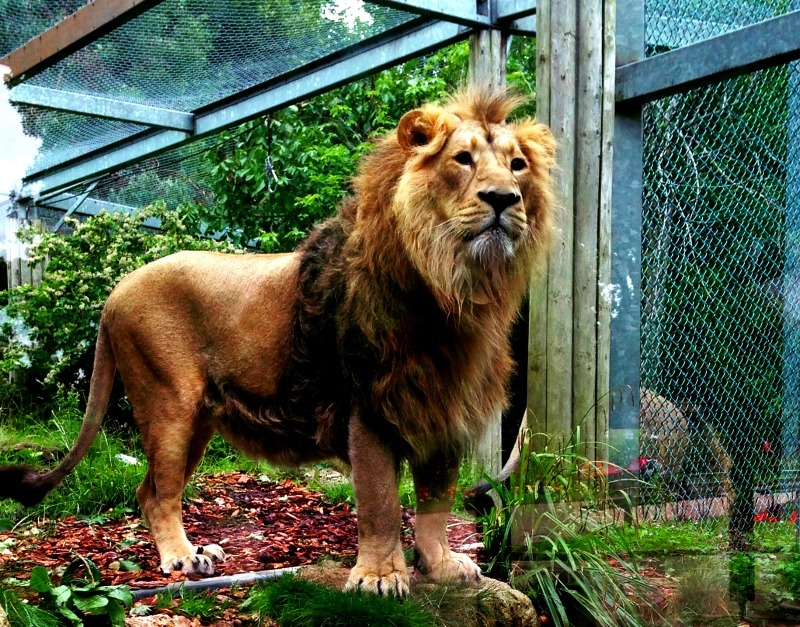 Have you been to the Bristol Zoo? What’s your favourite exhibit?